Adobe has come out saying that it is confident that Apple will eventually cave and allow Flash to make it onto the iPhone. “Our goal is to provide a consistent runtime that spans devices, inclusive of [mobile and] desktop operating systems,” said Flash marketing director Adrian Ludwig at this weeks Mobile World Congress in Barcelona. Adobe is currently working on providing Flash on devices powered by Windows Mobile, Android, Palm WebOS, Symbian, and BlackBerry OS powered devices, delivering parity with the desktop versions of Flash. “I suspect what will happen is that as we have more devices in the market… Apple will have more market pressure to include Flash on the iPhone,” said head of Adobe’s platform business David Wadhwani. 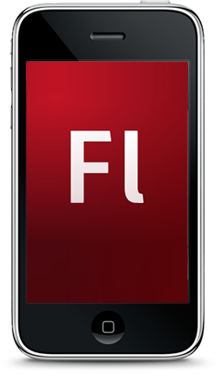 Adobe has a version of Flash ready to go for the iPhone, iPod Touch and the iPad, but is being blocked by Apple from getting low-level access to the iPhone that’s necessary to properly implement Flash. Whether Adobe’s prediction will come true remains to still be seen, only time will tell.